As I continued watching movies online, I came closer to watch [I think] almost every new movie lately. So, I also decided to recap those previous movies I’ve watched when I was still in Philippines. Yup, Myti and I make watching a movie habit, considering of the infos I heard from friends abroad. That when you are here, watching movie in a theater is way too expensive, and yes that was been proven when Jeff and I went the first month I got here. I was shocked how expensive it cost in each person and with matching soda and popcorn that just makes everything even worst. I could not forget my expression when I heard the cashier at the Theater told us how much it cost us both. I was like WHAT???? Yeah… for sure you experienced the same thing too. As far as I can remember we paid $16 for just one movie as well as a large popcorn and large soda. So, I decided not to do the same mistake again, instead we decided to go into Drive-In Theater that I mentioned in one of my previous post. If you are curious about it you can check the entry HERE. 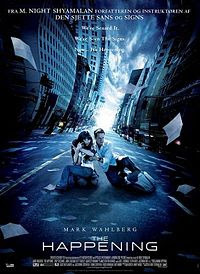 THE HAPPENINGS: The film opens in New York. People start to get confused in Central Park, repeating their words, standing still and sometimes walking backwards. We hear a few screams. A woman (Alison Folland) reading on a bench takes her silver chopstick-style hair pin out of her hair and stabs herself in the neck with it. Meanwhile on a building site, workers on the ground are chatting when all of a sudden a body falls. Panicked, thinking the worker just fell off the roof by mistake, they rush over to his broken body. While they looked over the body, another thud, another worker. They look at him confused; one is possible, two is unlikely, and when the third falls, it seems impossible. Then yet another and another, crashing to earth. When they look up they see many running off the edge, apparently by their own will, looking completely calm, and sure of their actions. I've seen The Happening... it was all too weird for me. Actually, I didn't really understood the whole explanation. 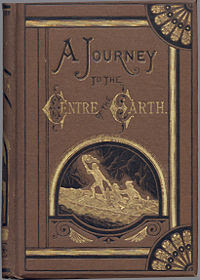 wow, journey to the center of the earth interests me a lot, thanks for sharing that. hope i find the time to look for it and also watch it. it seem to be very interesting. hi dear,i have a tag for you. Hi Nova I am just curious, Is this legal site? You mean you can actually watch the movie online? Is it free? I haven't seen both movies though, thanks for the review, will check those two movies out. Watching movies is great for relaxation.